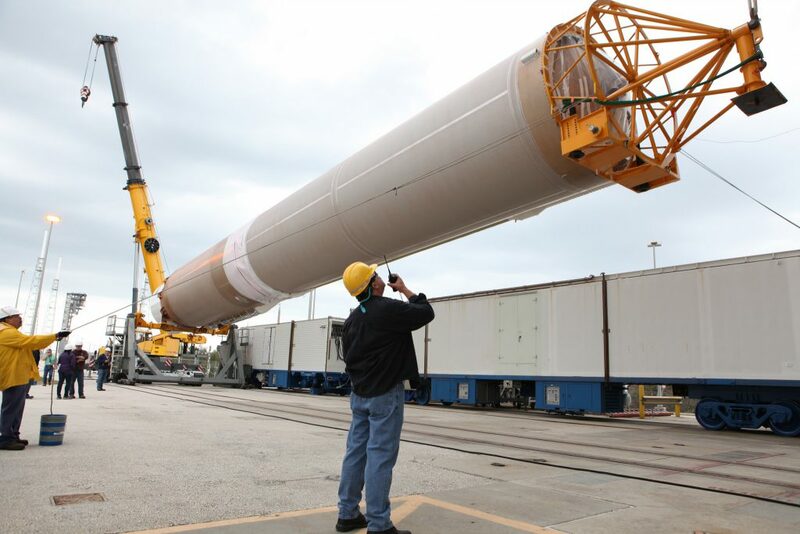 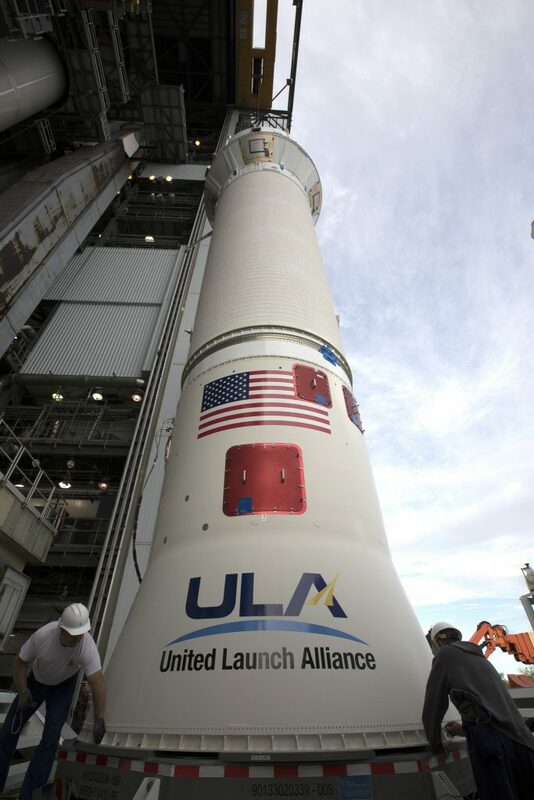 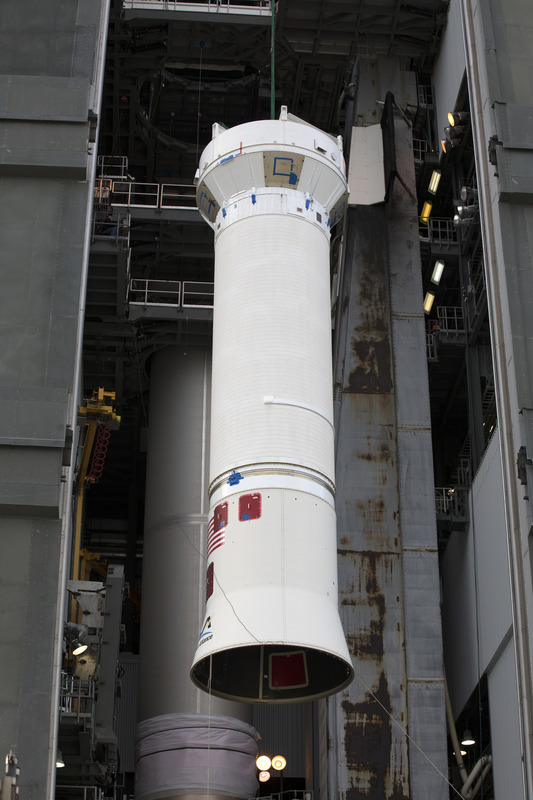 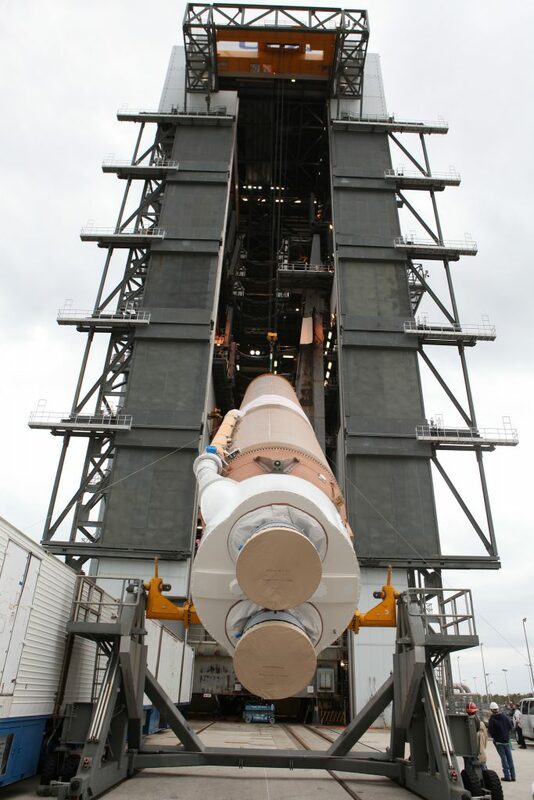 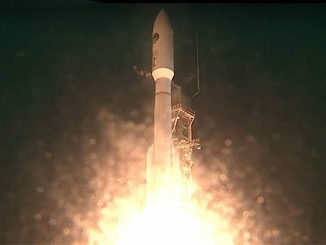 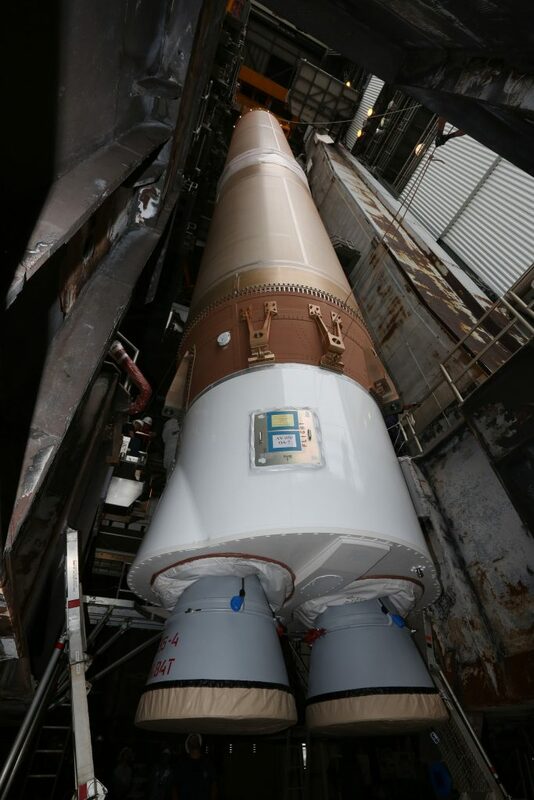 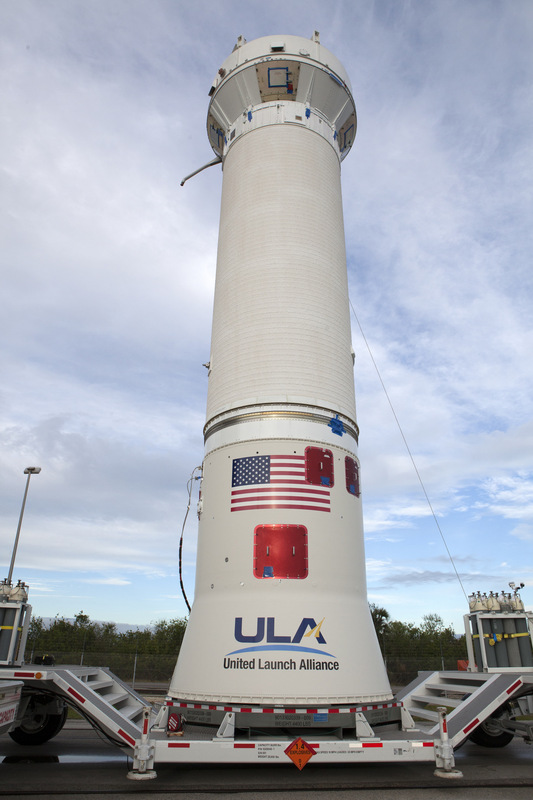 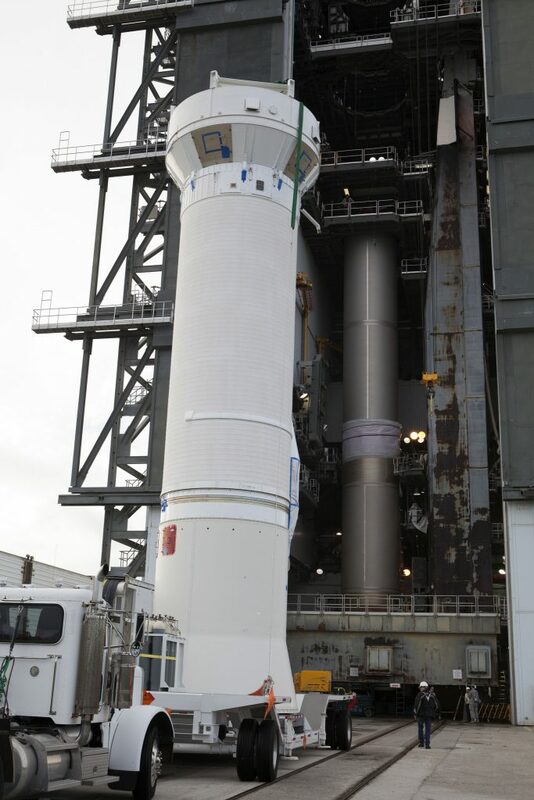 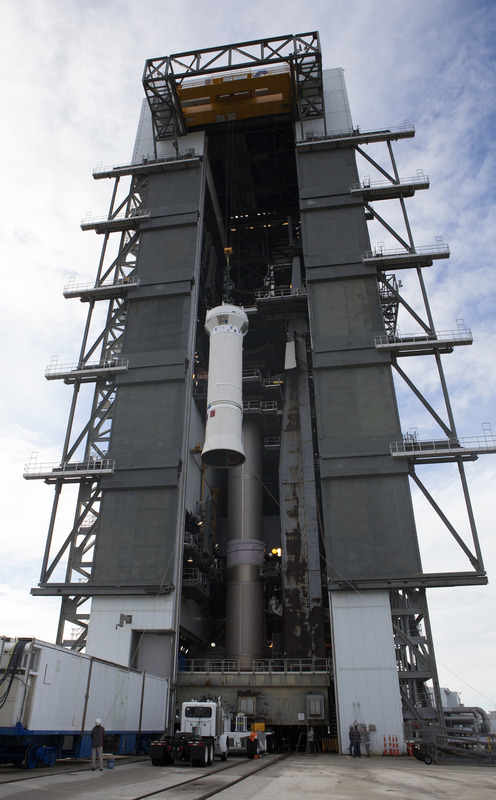 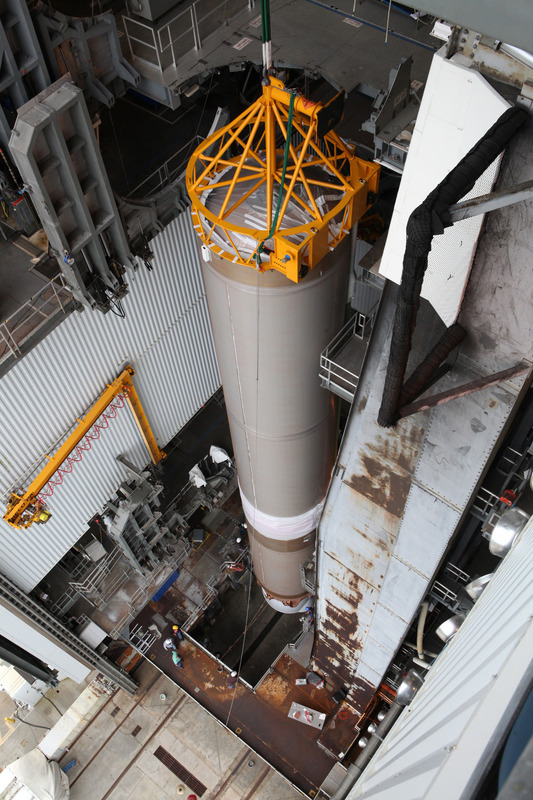 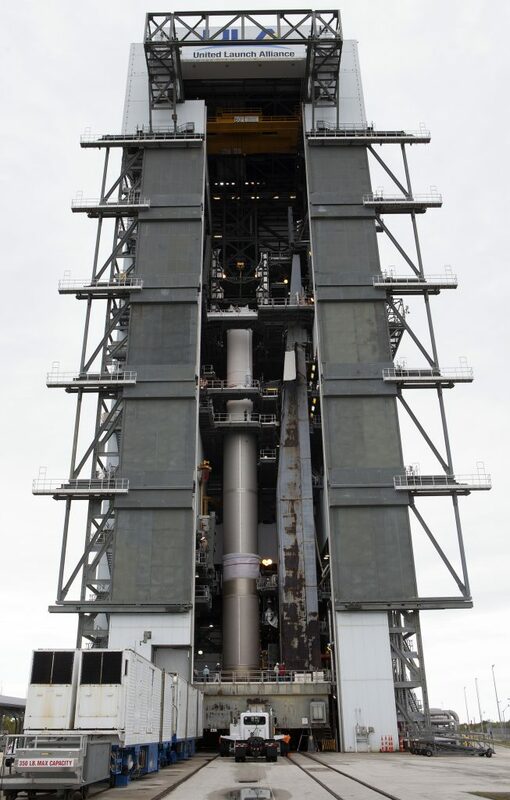 A United Launch Alliance Atlas 5 rocket, flying in its basic two-stage configuration with no strap-on solids, was stacked aboard a mobile launch platform at Cape Canaveral’s Vertical Integration Facility on Feb. 22 and 23 in preparation to send Orbital ATK’s S.S. John Glenn cargo ship into orbit for the International Space Station. 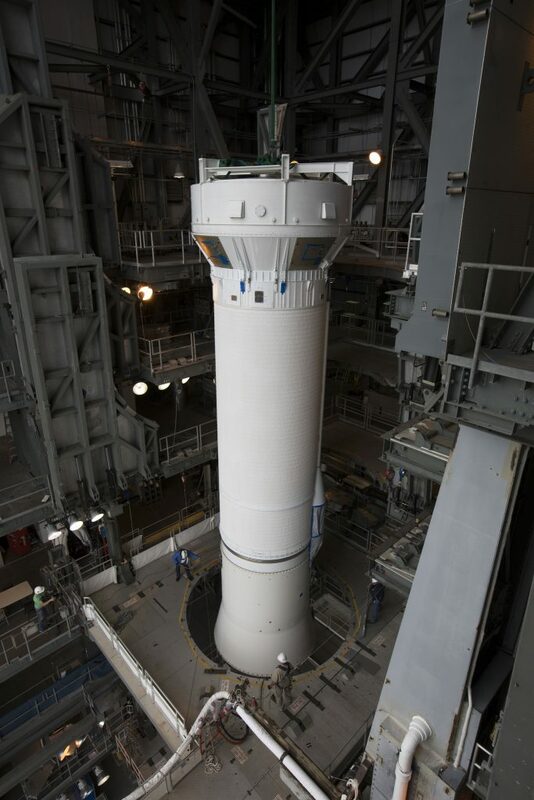 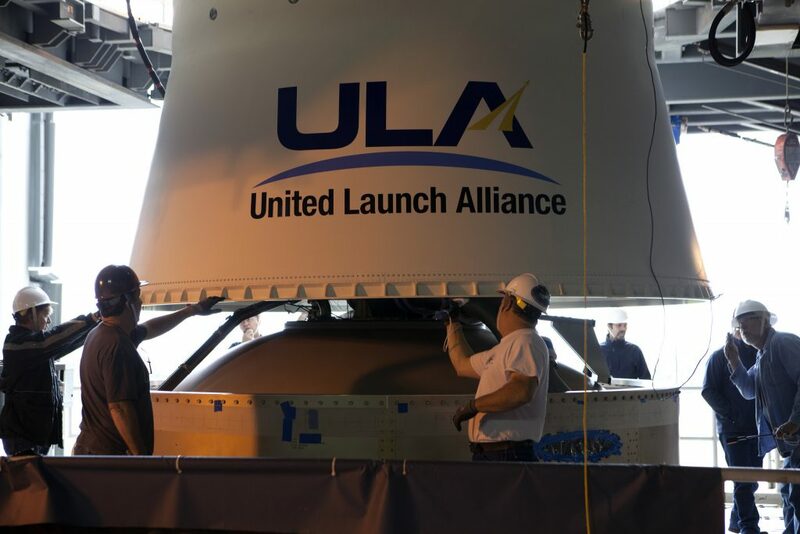 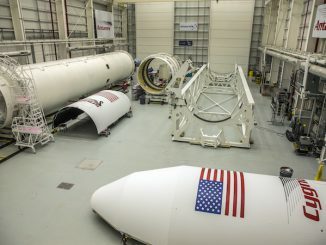 The pre-flight assembly process saw the first stage erected, followed by the integrated interstage, Centaur upper stage and boattail. 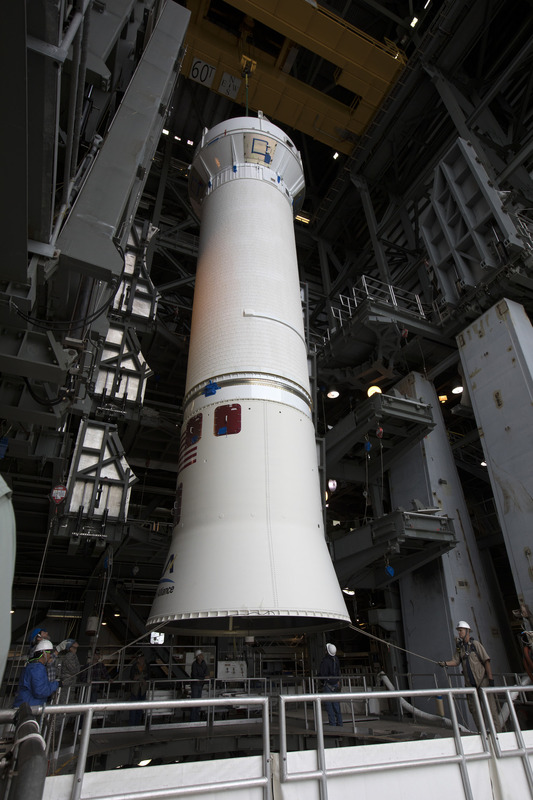 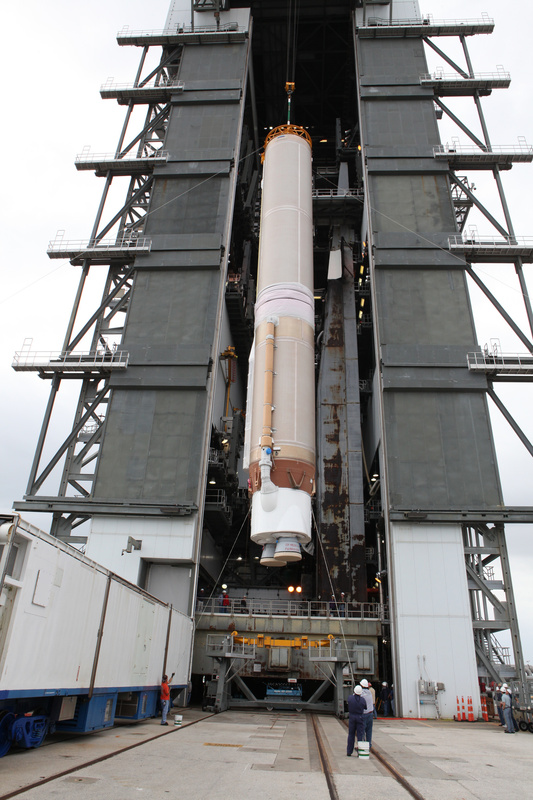 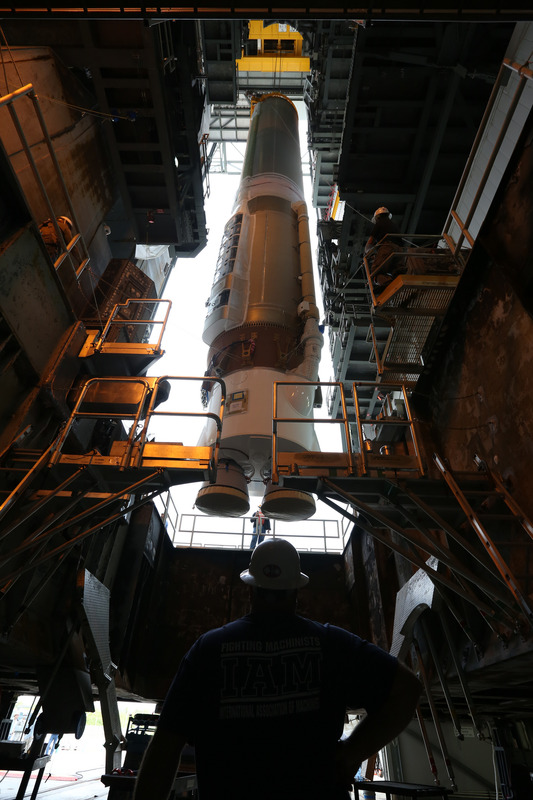 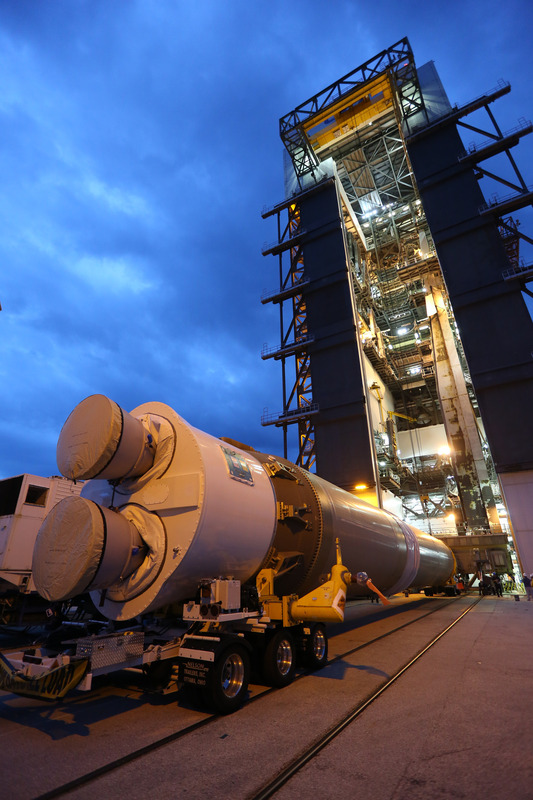 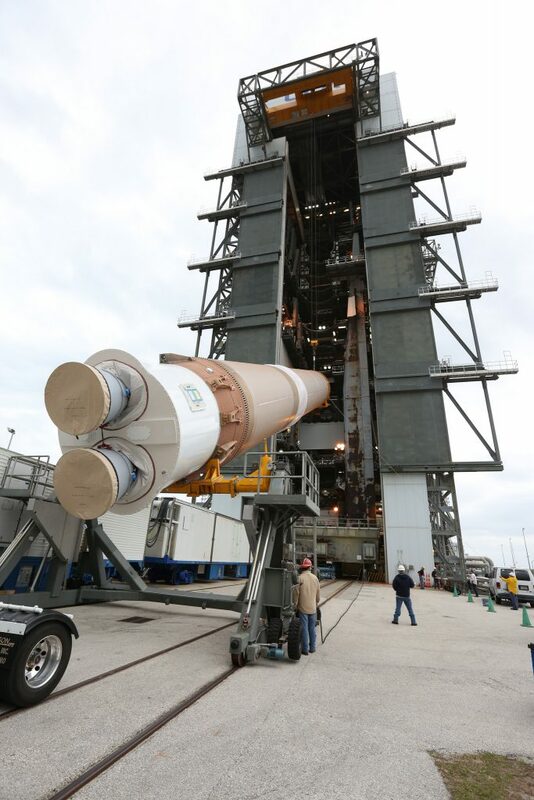 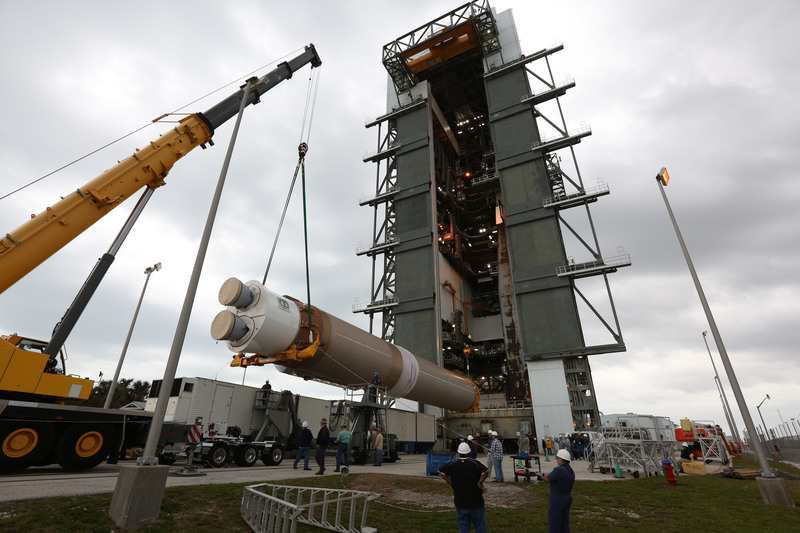 The Cygnus commercial resupply freighter is scheduled to be launched by the Atlas 5 on March 19 at 10:56 p.m. EDT (0256 GMT).